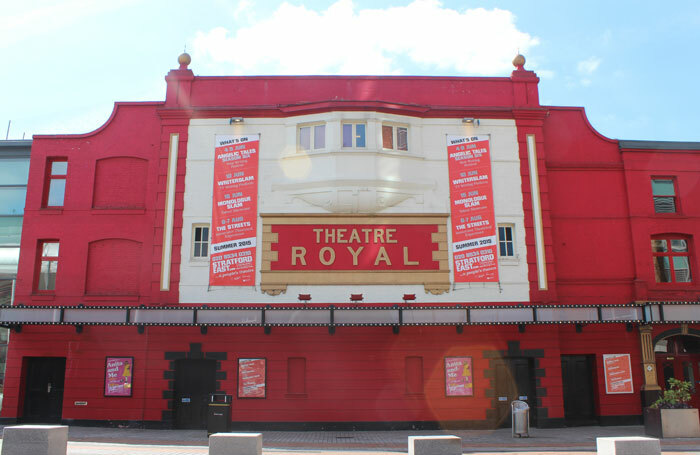 Theatre Royal Stratford East has been hit by a series of high-profile departures and has closed its acclaimed musical theatre development programme, under a restructure by new artistic director Nadia Fall . The Stage understands the restructure has been implemented to stabilise and refocus the organisation, which was facing financial difficulties when Fall took over in January this year. It has also emerged that the east London theatre has been given “intervention support” of more than £800,000 from Arts Council England to secure its finances, restructure the staff team and aid Fall’s “ambitions for her vision and inaugural season of work”. Fall took up the position on a full-time basis in January, after being appointed in 2017. She has been working alongside Neil Darlison, who was seconded from ACE in November to serve as joint chief executive. Since they took up their posts, five members of staff – including two members of the senior management team – have either been made redundant or left following changes introduced by Fall. The departures include executive director Deborah Sawyerr, associate director Pooja Ghai, musical theatre new-writing manager Sevan Tavoukdjian, artistic director assistant Rita Mishra and finance officer Titilayo Onanuga. In addition, the theatre’s acclaimed Musical Theatre Workshop, which has run annually since it was launched by former artistic director Philip Hedley in 1999, has been shut down. The workshop has developed shows such as The Big Life , billed as the first black British musical to play the West End, and The Harder They Come , which also transferred to the West End. Musical theatre has been central to TRSE’s programming since the tenure of Joan Littlewood , with productions such as Oh What a Lovely War starting life there. However, it is understood that Fall has no immediate plans to focus on developing new musicals. It has also emerged that TRSE has closed its Caribbean kitchen, which served jerk chicken and was popular with the local community. Meanwhile, studio space Gerry’s, introduced by previous artistic director Kerry Michael , is set to close later this month. Critics of the changes have expressed concern that Fall is looking to replicate her experiences of working as an associate at the National Theatre, and will alienate the local community, which they argue has always been at the centre of the theatre’s ethos. A source close to the theatre said Fall was keen to put on “established work”, but expressed concerns that this would not represent the community the theatre has traditionally served. “There’s a sea change happening and it feels unlike the ethos of what Stratford has been built upon, which is diversity, new writing and new musicals,” they said. The source said Fall was keen to emulate the success of other London theatres, such as the Almeida, and appeal to a new business community growing in Stratford. Fall, who will reveal her first season later this month, has previously indicated she wants to make TRSE a “destination theatre”. Fall’s previous credits include directing Our Country’s Good, Dara and Home at the NT.